Participants in the Women's March on Springfield listen to speeches in front of the Lincoln statue on the east side of the Illinois State Capitol. 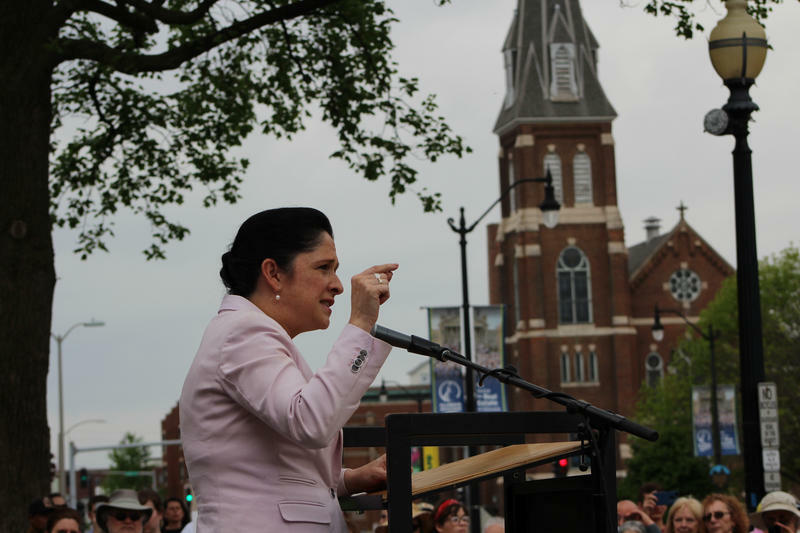 Illinois Comptroller Susana Mendoza speaks at the Women's March on Springfield on Tuesday, April 25, 2017. Attendees at the Women's March listened to more than an hour of speeches. Apparently home-made signs predominated at the Women's March on Springfield. 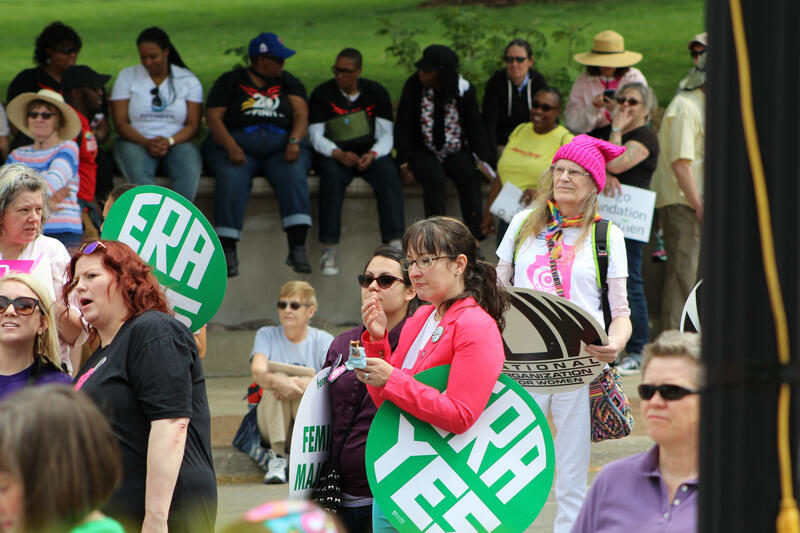 Although it was blocked in Illinois in the 1970s, the proposed Equal Rights Amendment still has supporters. 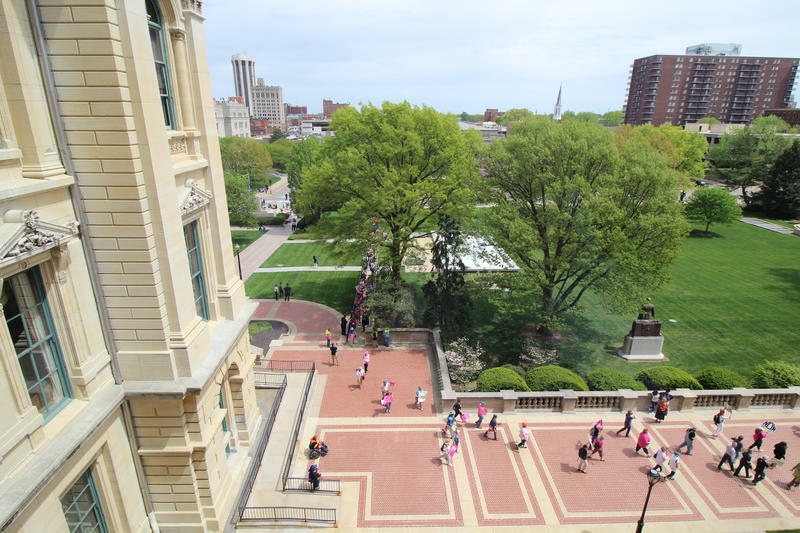 Demonstrators circled the Capitol Building after a rally. Brian Mackey reports on the Women's March on Springfield. 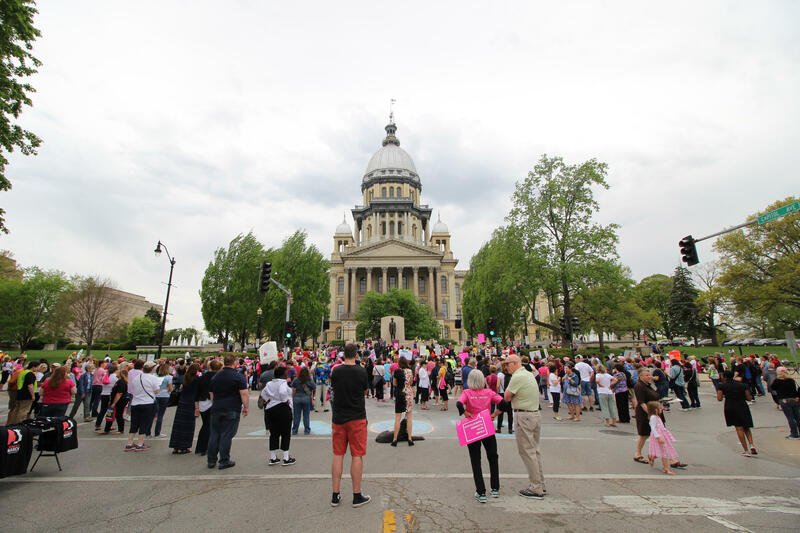 They came from across Illinois — women and a few men, carrying signs for a variety of causes: supporting women’s rights and immigrants, opposing guns, and urging passage of the Equal Rights Amendment. 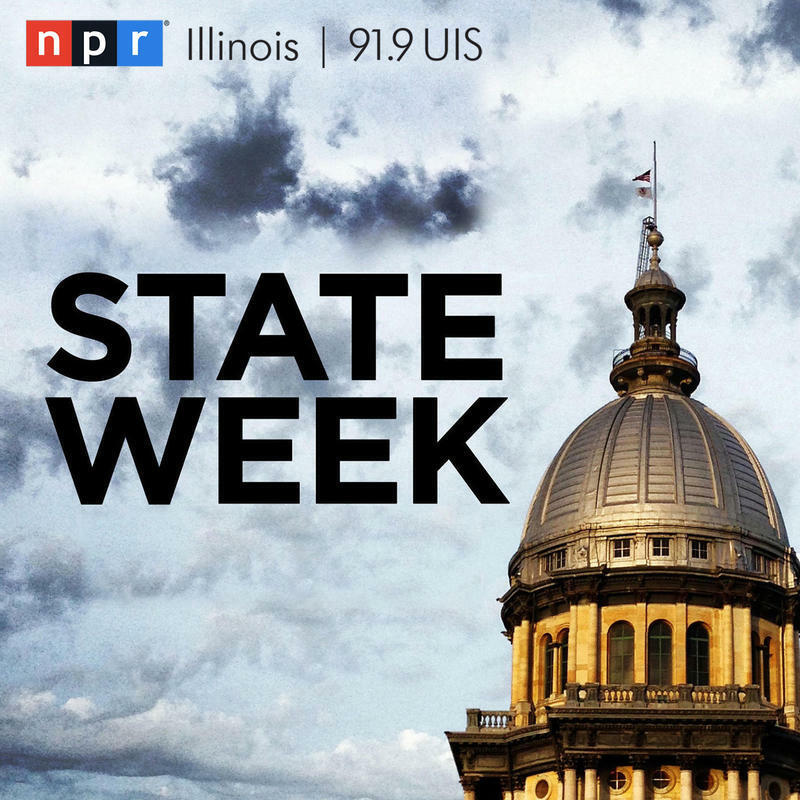 “Our communities are under unprecedented attack, and we need to stand together," said Mony Ruiz Velasco, with the Illinois Coalition for Immigrant and Refugee Rights. Several speakers spoke against Republican officeholders, including Gov. 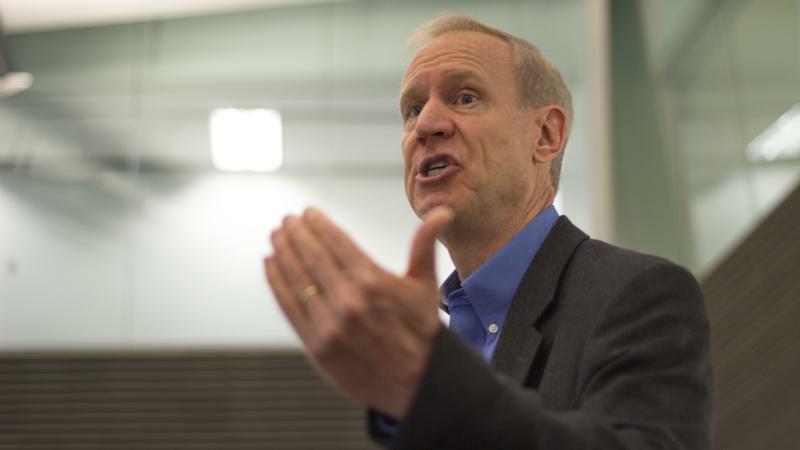 Bruce Rauner and President Donald Trump. Maaria Mozaffar is an attorney with CAIR-Chicago — the Council on American-Islamic Relations. She got a cheer from the crowd when she said Trump was “unfit to solve real problems." “The reason why people march is to show that we’ve woken up," Mozaffar said. 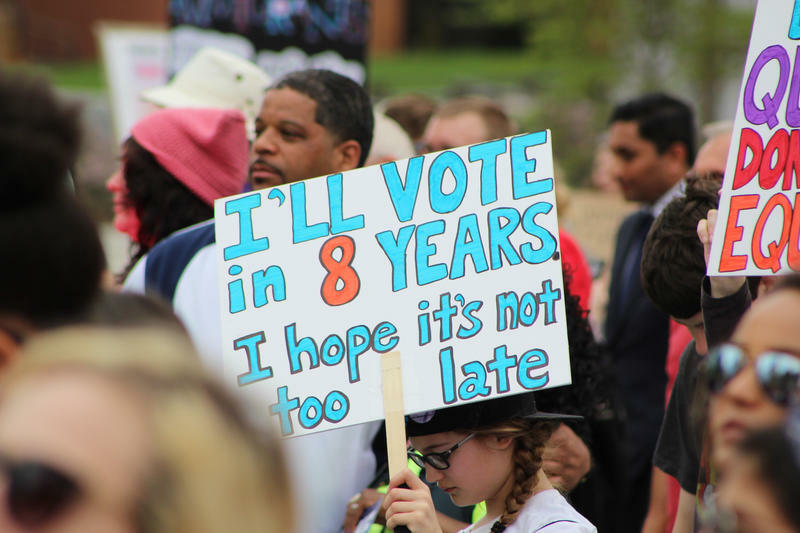 But she added that the activism has to go beyond marching: "We are ready to push laws, write laws, and make it very clear that we are not unfit Americans." 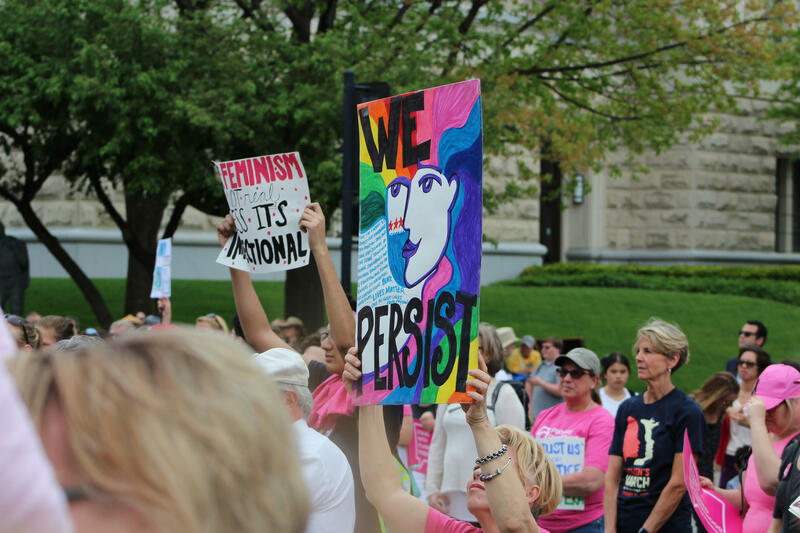 The crowd also heard from five of the men seeking the Democratic nomination for governor, and met with senators and representative to deliver pink cards listing legislative priorities. The Capitol Police estimated about 1,500 people attended the march. Organizers put the figure at more than 2,000. Gov. 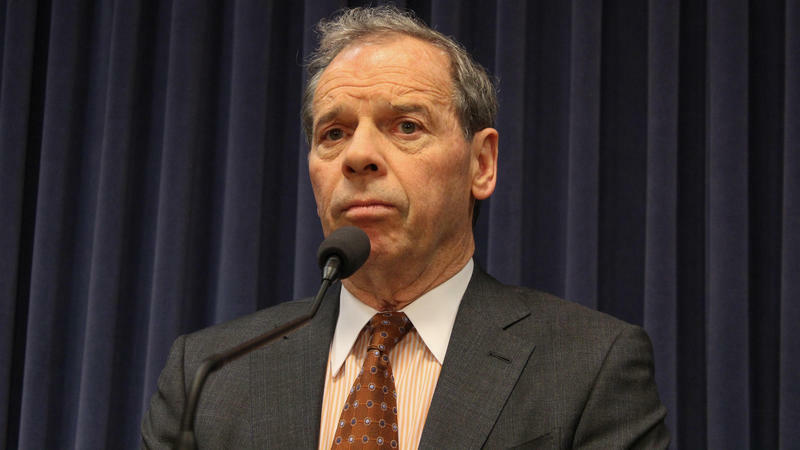 Bruce Rauner has been saying he thinks a comprehensive budget deal is “very close.” He points to negotiations in the state Senate, so Brian Mackey asked the Senate president if that’s the case.